Medik8 is an incredible skincare line that offers top of the line, quality skincare items that are all made with biocompatible ingredients using green chemistry technologies. Within this line there are numerous effective products that suit all different kinds of skin types and/or issues. The entire skincare line was formed in order to meet just about every skin need with quality and safe products. Although the line contains mostly products for the face and neck area, Medik8 has designed and developed a few products meant for the rest of the body. You can find these products within the Medik8 Body and Hands collection on SkincareByAlana. The Medik8 Body and Hands collection contains a couple different selections that all work to nourish, hydrate, or correct skin issues on all parts of the body. However, one item in the collection particularly is extremely noteworthy. This product is the Medik8 Red Alert. The Medik8 Red Alert is a great skincare product that works to help fade and clear up thread veins. It also reduces redness and bruising by encouraging enhanced coagulation and anti-oxidization. This is one of the strongest topical products made for this purpose and can provide superior results. If you are interested in any of the Medik8 Body and Hands products, or would like to check out the rest of the line, you can take a look over at SkincareByAlana. 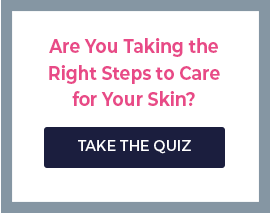 This is an amazing site that offers all of the best all natural skincare brands that are safe and effective for all skin types. Each and every skincare product or line that is made available on this site is handpicked in order to ensure results and safety for your skin. You can often find deals and discounts on your favorite products and the site is always offering free shipping for anyone who orders from within the U.S.